Holmes▪King▪Kallquist & Associates, Architects strives to consistently attain superior and innovative design and excellence in building craftsmanship, producing quality detailing and specifying appropriate materials. Every project is a unique synthesis of our clients’ needs, their site, and our knowledge of current design and construction. Our firm grasp of budget and construction realities informs our design process and ensures that the result is both responsive to our clients’ needs and tastes and is firmly grounded in building practicalities. We are committed to the continual improvement of our skills as interpreters and implementers of our clients’ goals. We listen carefully and communicate effectively. We recognize that quality projects cannot occur without quality clients, and welcome a high level of client participation. The success of these collaborations is visibly represented by our numerous design awards. We provide design services in architecture, historic preservation, and interior design. Our work ranges from historic restoration and adaptive re-use to new academic, commercial, public, and residential design. Multidisciplinary, early-stage planning services are an important part of our work, and include architects, interior designers, and appropriate specialists in the development of building programs, space planning, conceptual design, feasibility studies, and master plans. We have over thirty years of extensive experience in restoration, historic preservation, and adaptive re-use gained from our work on a great array of significant historic structures. Specialties include: historic research, structure documentation, condition reports, historic preservation tax credits, and programming for adaptive re-use, as well as restoration of historic masonry, millwork, roofing, and interiors. We design creative homes in all size and budget ranges from cottages to the finest quality residences. Our firm’s first-hand knowledge and experience with the styles, details and materials drawn from over 300 years of American architecture allows us to produce residential designs that both realize our clients’ visions and create an aesthetic sensitive to time and place, whether historic or contemporary. Among our specialties are log construction, timber frame design, new traditional homes, and historic homes. 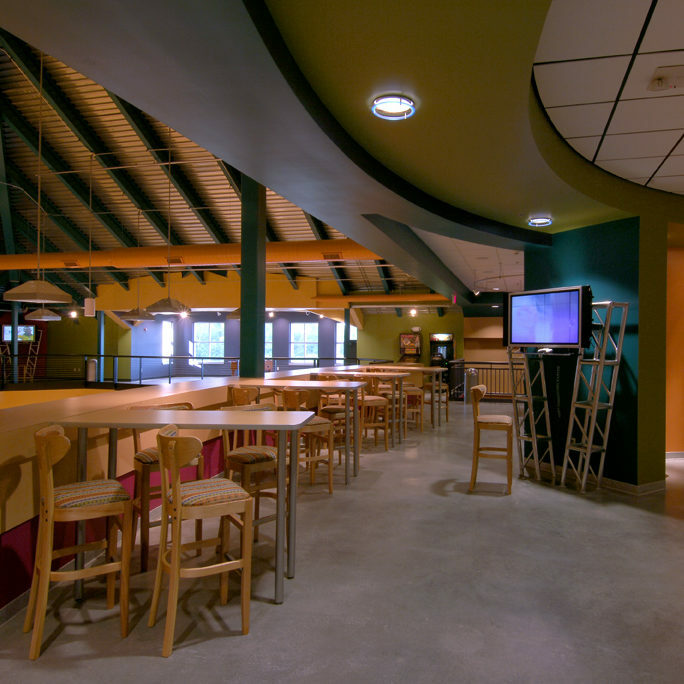 We have designed student housing projects for numerous college campuses. We design affordable and supportive housing projects for not-for-profits and government agencies. These projects range from scattered-site infill housing in historic districts to large apartment projects. We also design a wide range of housing for the elderly, ranging from HUD-financed projects to luxurious retirement complexes. Solutions for commercial, academic, and public projects comprise another of our firm’s strengths. We have a great depth of experience with civic projects such as libraries and municipal buildings, university facilities, offices, retail facilities of all sizes, a wide variety of restaurant and hospitality projects, religious facilities, and private educational projects. Our staff has the specialized knowledge of each building type, the up-to-date technical expertise, and the design experience to bring the most operational efficiency, image, and quality to each of these complex planning assignments. The tenet of our firm’s practice throughout our history. Our first project was a passive solar home; still lived in by our original client. We begin each project with our client’s needs and engage in early discussions regarding the benefits of sustainable design, both environmental and economic. We find that most projects benefit economically from sustainable design when viewed on a life cycle basis, a viewpoint which appeals to our clients. Lastly, we are able to offer our clients a full spectrum of professional building services by teaming with extremely reputable and experienced consultants These include: landscape architects, engineers, construction specialists, and specialty consultants All of the consultants that we team with share our commitment that projects achieve the highest technical and aesthetic standards. We excel in the management of this collaborative team process.